Mommy Maestra: #SummerLearning: Friendship Bread & a Discount for You! #SummerLearning: Friendship Bread & a Discount for You! Happy National Friendship Day! Are you celebrating? For some of us, school has already started, but that doesn't mean that summer isn't still in full swing. For others, the start of school is still weeks away. But either way, summer learning should still be weighing heavily on our minds. So as a Little Passports Ambassador, I'm happy to share with you another learning activity that can take place at any time of year, really. 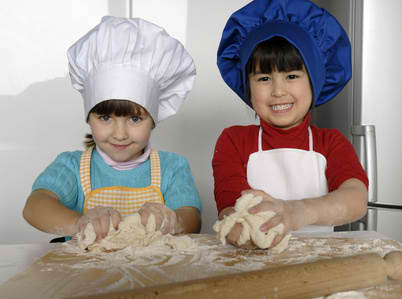 And one of the best ways to make learning fun is in the kitchen. Has your family ever made Friendship Bread? It is frequently given the name Amish Friendship Bread, but there is no actual connection to the Amish, though the recipe has been around for a very long time. Friendship Bread is a type of bread or cake made from a sourdough starter that is usually passed around and shared with friends and family. So in honor of National Friendship Day, below is a fun recipe for creating your own Frienship Bread starter from Sam and Sofia, our Little Passport (affiliate link) friends. Invite some of your child's friends over and help them make their own batch! It's a long-term activity that your child can enjoy doing every day for 10 days. And because we are all friends, at the end of this post, you will find a special discount for MommyMaestra readers! In honor of friendship day, Sam and Sofia are cooking one of their favorite recipes together! Why not invite a friend to come cook with you? On days 2 through 4, stir starter with a spoon. Day 5, stir in 1 cup flour, 1 cup sugar and 1 cup milk. Days 6 throughout 9, stir only. Finally, on day 10, stir in 1 cup flour, 1 cup sugar and 1 cup milk. Remove 1 cup to make your first bread, and give 2 cups to friends along with this recipe. Store the remaining 1-cup starter in a container in the refrigerator, or begin the 10-day process over again (beginning with step 2). 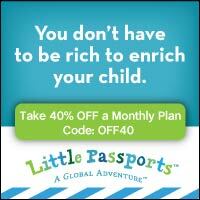 MommyMaestra readers: Because my own kids have enjoyed their monthly packets from Little Passports so much, and because LP is such a great supporter of global learning, I'm happy to offer you this special discount for 40% off the regular monthly subscription price! Remember, "You don't have to be rich to enrich your child!" Just click here (affiliate link) and enter the code above to take advantage of this discount.